“Closed for private event” read the sign outside of Schad, an upscale boutique on Sussex Drive that caters to Ottawa’s coolest and most cosmopolitan clientele. Inside, the place was packed with more than 75 ticket holders to a private benefit for the Canadian Foundation for AIDS Research (CANFAR). Comely couple Andre Schad and Chantal Biro-Schad, owners of the eponymous store, have been supporting the cause for several years now. They juggled the Tuesday night benefit with another of their entrepreneurial ideas: Tavern on the Hill, a seasonal outdoor patio located at the north end of Major’s Hill Park. It's back up and running and the Schads will be opening a second spot, Tavern on the Falls, at Rideau Falls, within the next few weeks. They’re still in the process of hiring approximately 100 staff for the two locations. 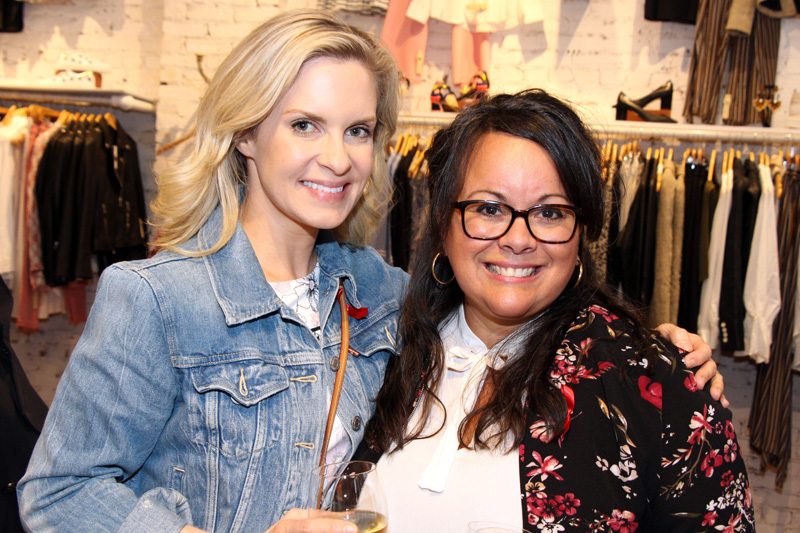 The CANFAR Byward Social featured an online silent auction that offered items such as: a pair of plane tickets from Delta Airlines, a stay at the nearby Andaz hotel, and treatments by Ottawa laser and cosmetic physician Dr. Karen Dover. Up from Toronto was CANFAR’s affable president and CEO, Kyle Winters. He shared a friendly fireside chat with well-known Ottawa philanthropist and mental health advocate Barbara Crook. She was quick to acknowledge she’s no expert on HIV, but she and her husband Dan Greenberg are generous with their time and money when it comes to helping the homeless and mentally ill.
“We both really believe that you can judge a society by the way it treats its most vulnerable people,” said Crook. Speaking about marginalized causes, she added, helps to reduce stigma and discrimination. While people infected with HIV are now able to lead, with treatment, healthier and longer lives, the pair spoke about some of the long-term challenges faced by those living with the virus, for which there is still no cure. CANFAR focuses on funding research and HIV awareness. It received its largest single contribution of $1 million a couple of years ago from music executive and humanitarian Gary Slaight to help with the organization’s youth awareness initiatives. Winters spoke about some of the work the organization is doing to reach younger populations, outside of the regular classroom settings. It’s been working with grassroots organizations to provide materials to communities in northern Alberta and Saskatchewan, where HIV infection rates are comparable to some parts of Africa, he said. It’s also trying to educate young people in detention centres about HIV prevention. The materials are provocative but very appropriate for the at-risk groups that CANFAR is trying to reach, said Winters. Tara Shields and Sheila O'Gorman, both of whom have lost close friends or family to AIDS, were back to co-chair the benefit. It's been held at either Schad or at the Rideau Club in the past. 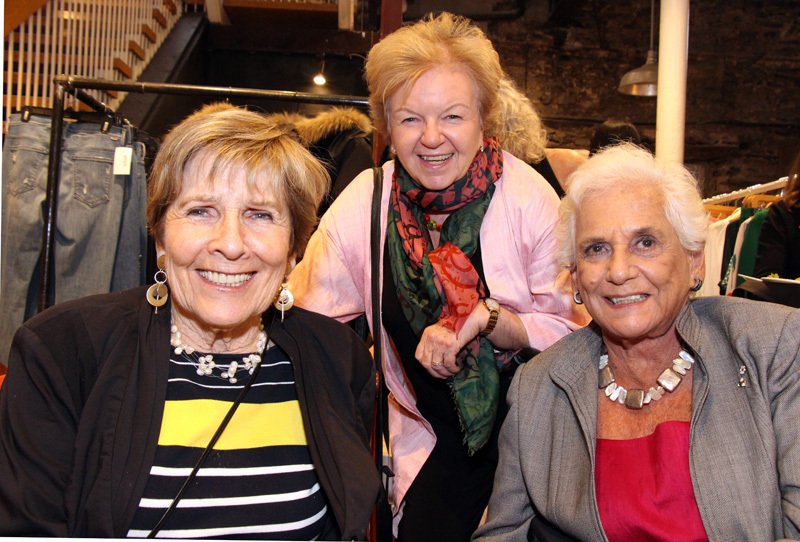 Among the attendees were Crook's mother-in-law, celebrated philanthropist Shirley Greenberg; Jayne Watson, CEO of the National Arts Centre Foundation; Neil Leslie and Ryan Kilger from the Shepherds of Good Hope Foundation; and Michael Gennis from Blue Panda Realty. Many guests were seen trying on and purchasing clothes and shoes that night, a.k.a. retail therapy. Organizers were aiming to raise between $15,000 and $20,000.